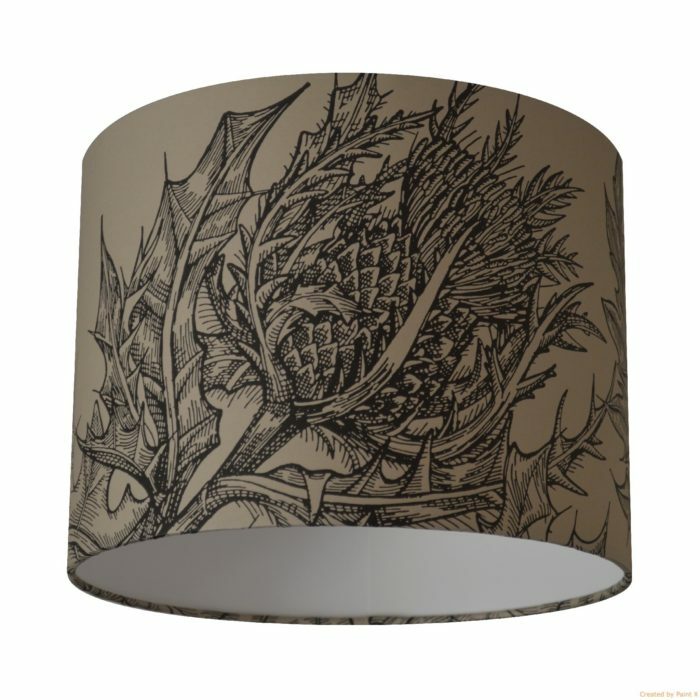 This shade is handmade using a Timorous Beasties wallpaper. A stunning intricate thistle plant in a hand drawn effect. The pattern continues right around the lampshade and top and bottom edges are hand rolled so that the pattern continues beyond the edge.